Hey, look! I crocheted a thing! 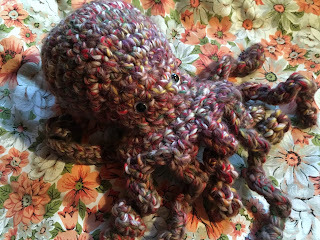 My octopus is finished and it has eyes and I am absolutely thrilled with how it came out. 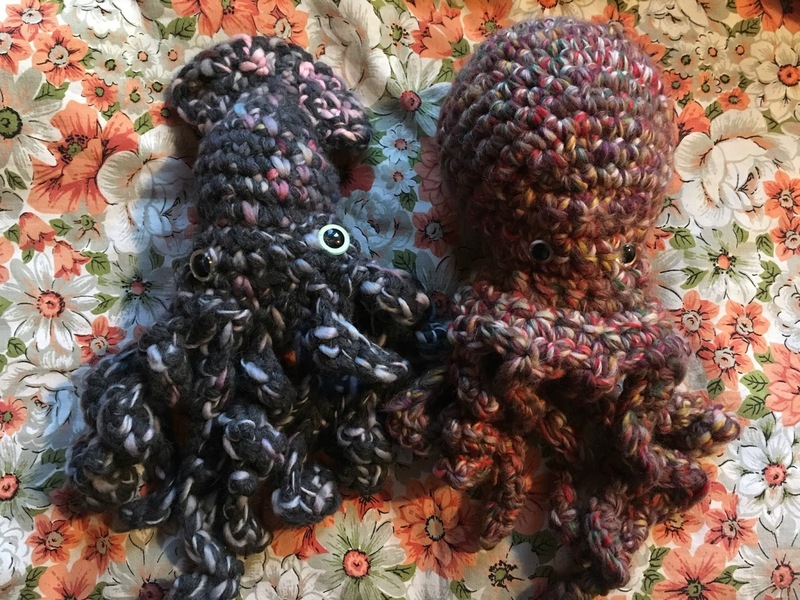 It still doesn't have a name- I've been calling it Octopus for the time being, and I'm afraid it's going to stick (I have a stuffed tortoise that I've been calling Turtle for eight years now), but I haven't completely given up on finding a good name. I crocheted this following Leah's Realistic Crochet Octopus pattern to go with her Realistic Squid sample that I adopted. Now, crochet and I have a tenuous relationship. Crochet generally makes me say some very unkind and vile words (this coming from a girl who got called out for her language by a bartender) and I usually only do it when I really want the FO and can't figure out a way to get it otherwise. This pattern is the first crochet pattern I have ever read that did not make me cuss once when I was crocheting it. I did not think one unkind thought towards Leah or towards the project itself. It is so clearly written and approachable that I actually enjoyed every part of it. I didn't even know it was possible to enjoy crocheting, but here we are. 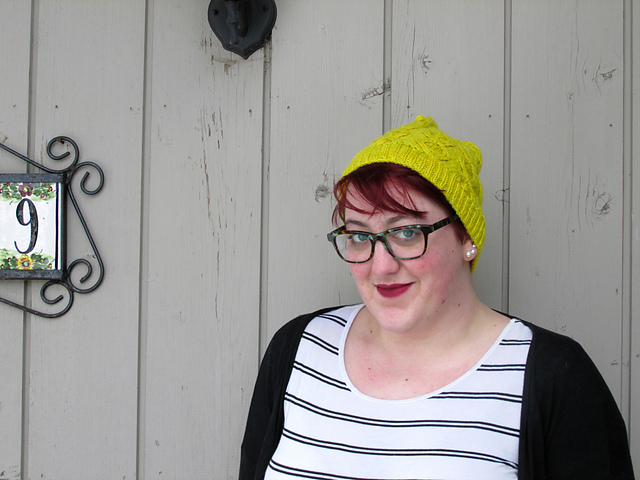 Yarn: Patons North America Colorwul "Bramble"
I'm soooooo happy that you had fun with this! Oh goodness- it would seem that all that salty language was worth it as these little loves are amazing!